what I imagined would follow. How wrong can you be?! It was only with further listens that it seemed perhaps the purpose was actually to wash away what else you may have been listening to, wipe the slate clean and draw you into the strange world that Cam Penner and co producer Jon Wood have contructed. Boy did it work! totally unique, even including a tremendous bluesy/hillbilly piece of rap! The disc is more bluesy than previous, at time having an almost primeval atmosphere and his influences are difficult to work out but artists that have come to mind whilst listening to various tracks are the likes of Tom Waits, Reverend Peyton, Charlie Parr, Otis Gibbs, often at times stirring up the ghosts of long gone bluesmen and even the old time ‘hillbillies’ such is it’s raw power. 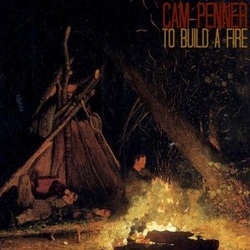 All songs were written by Cam Penner except for Rivers Forgotten which was a co write with producer Jon Wood, a talented musician himself, who is always happy to step away from the path of predictability. It would seem that Cam choosing him as producer signaled a change to what we have come to expect from him. With repeated listening sessions it does start to emerge that whilst Cam has always been immersed in the more folksy side of roots music, this current album is not too far removed from that point, but has a much more fundamental and experimental feel on these songs that are incredibly dark and raw in sound, until that is, you take in some of the lyrical content, when a huge contrast emerges with the songs being full of love and optimism. If ever there was a case of darkness and light in music this is it! otherworldly vocal. A strange eerily atmospheric song that has the feel of a young Tom Waits in as much as it is totally original in concept with the clanging guitar distortion gradually building the dark atmosphere and tension. guitar and banjo sounds providing even more atmosphere. I haven’t yet heard all of Cams albums but this, compared to those I have heard, is a massive improvement and could not only turn out to be career defining but also perhaps set a new path for him to follow. An extraordinarily talented singer sonwriter in an indefinable ‘rootsy’ genre that blends so many disparate elements into something highly original.